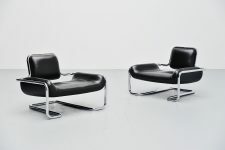 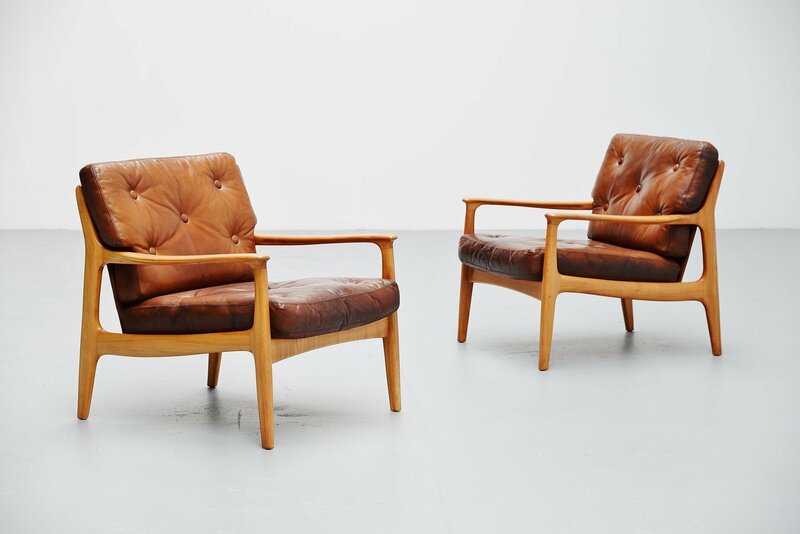 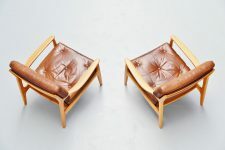 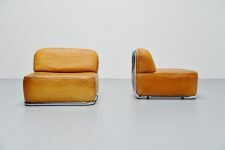 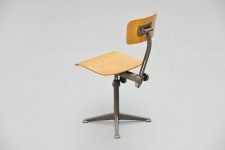 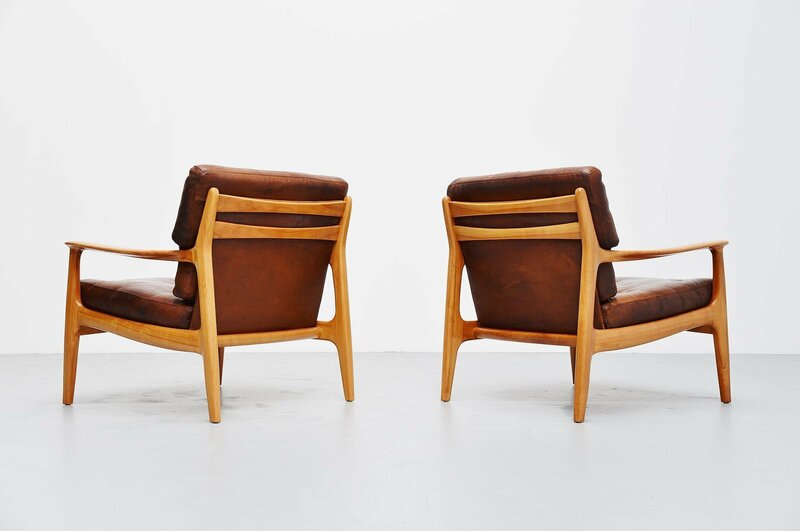 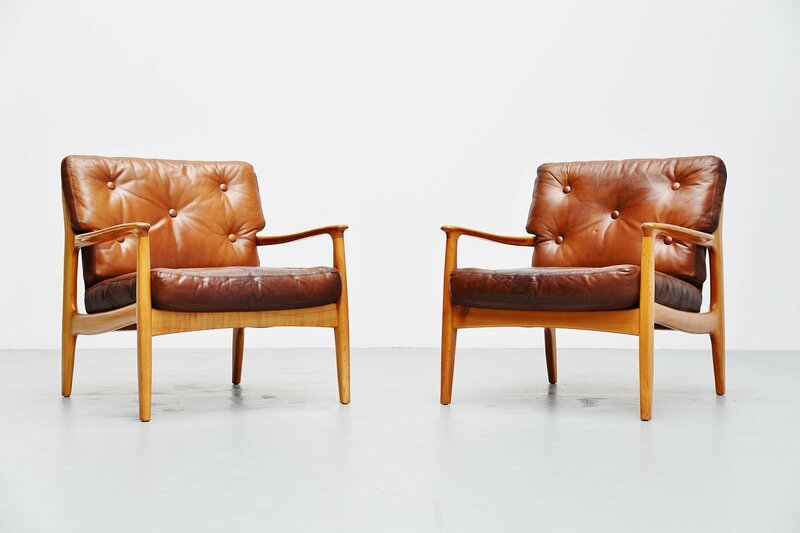 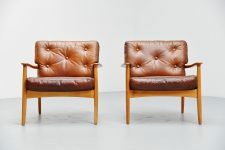 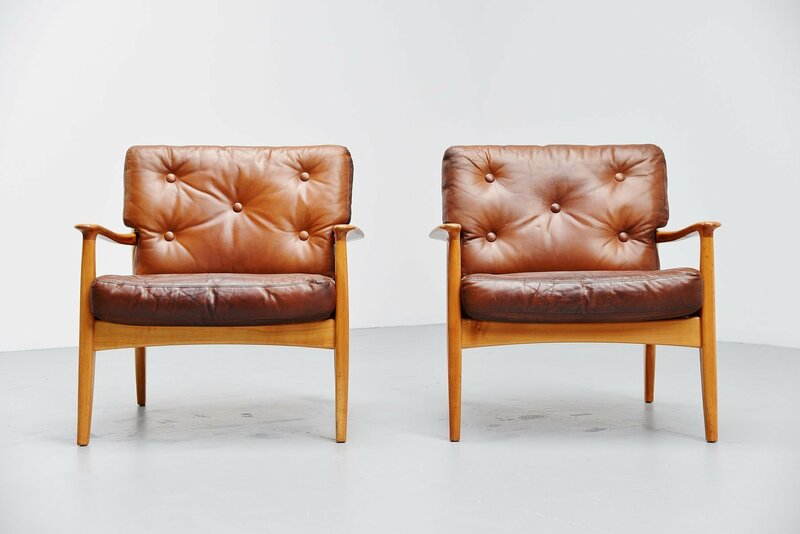 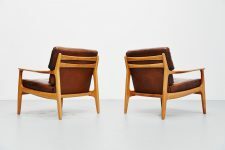 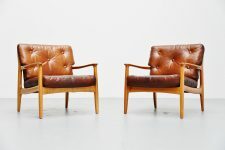 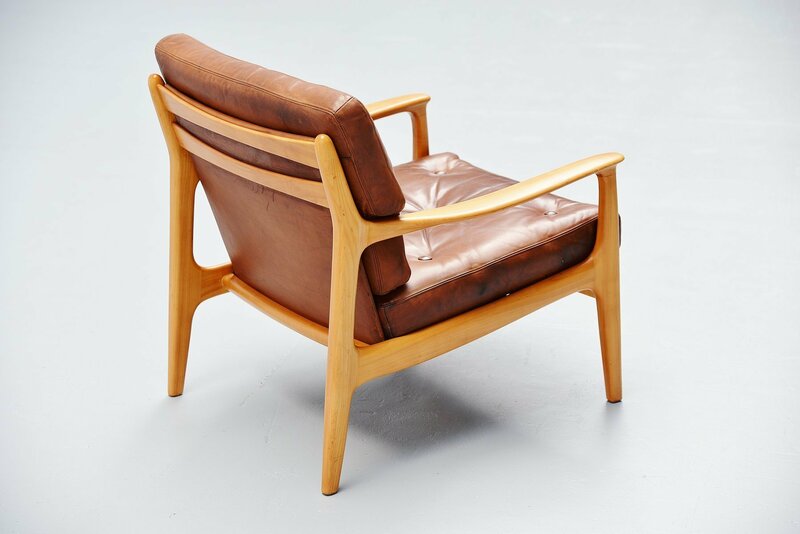 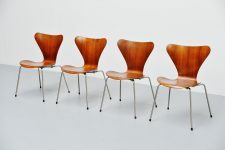 Very nice and high quality pair of easy chairs made by unknown designer or manufacturer, Sweden 1960. 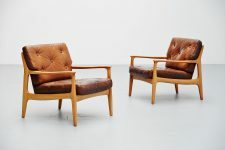 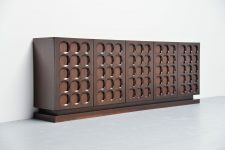 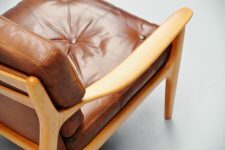 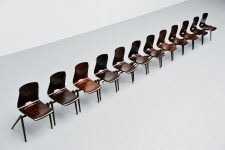 These chairs have a solid birch wooden frame and have very nice dark brown leather cushions with buttons. 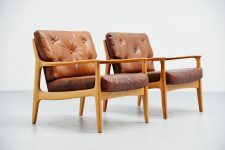 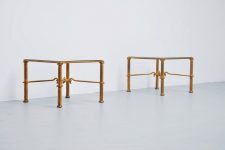 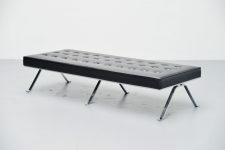 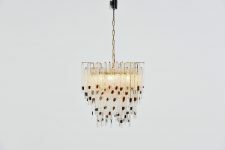 The cushions have a very nice patina from age and usage and are made of high quality. 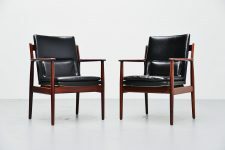 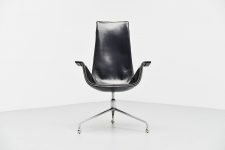 The chairs have a leather back too and are very well crafted all over. 1 Of the seating cushions has a repaired crack to but very nicely and professionally done.